FREE DELIVERY TO UK MAINLAND! The NexStar Evolution keeps evolving. 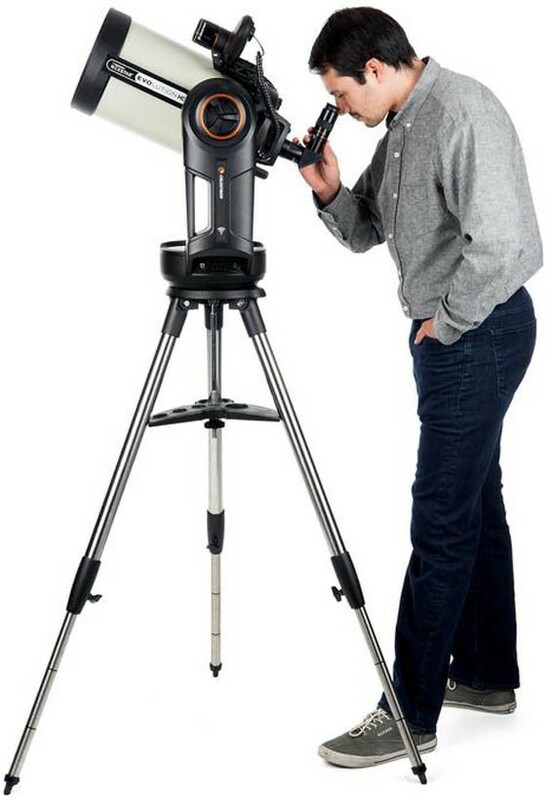 We’ve paired our best optics with our best technology to make an incredible versatile and portable telescope system. Now, enjoy EdgeHD 8” optics and StarSense AutoAlign on the renowned Evolution mount, all controlled from your favorite tablet or phone. 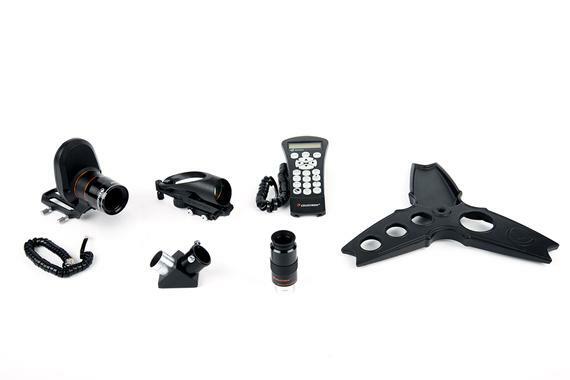 With the innovative NexStar Evolution 8 HD, enjoy EdgeHD optics and controlling the telescope wirelessly with the SkyPortal app. Now equipped with StarSense AutoAlign, go-to alignment is done automatically once you tap “Connect and Align”! Observing, astro-imaging, and automatic wireless alignment are all bundled into a compact yet mechanically solid setup.This the most capable, easy-to-use and ready-for-action system we’ve ever offered. 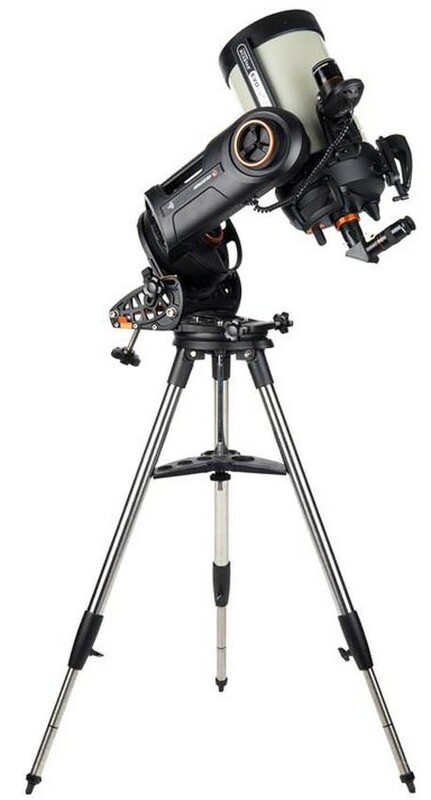 When NexStar Evolution was introduced, it paired two of Celestron’s most acclaimed innovations, Schmidt-Cassegrain telescopes and computerized go-to optics, in a compact single fork arm mount. The technology and optics continued to evolve over the years. On the technology side, we added StarSense AutoAlign for our go-to telescopes, as well as WiFi telescope control with over our new SkyPortal app. With optics, EdgeHD flat-field and coma-free astro-imaging systems were made to accommodate modern imaging with cameras of all types, especially larger format CCD and DSLR cameras. 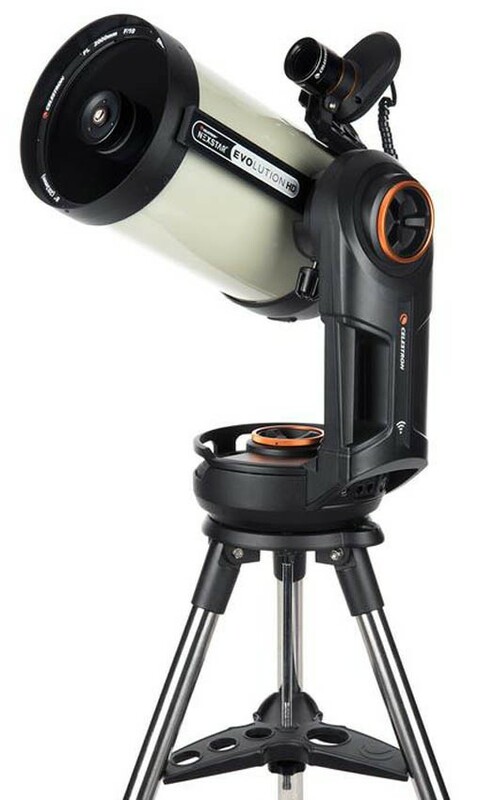 Now all of these innovations have come together in one telescope package: The NexStar Evolution 8HD. The NexStar Evolution 8HD covers all bases for compact and easy to use, and is perfectly capable for any observing to astro-imaging pursuit. We’ve added our StarSense AutoAlign technology to the SkyPortal app, making SkyPortal the most advanced telescope control app offered. StarSense not only automatically aligns itself from your smartdevice, it also has advanced mount modelling, allowing you enter up to 10 alignment points for the most precision pointing accuracy possible. Even the most advanced telescope users will love using StarSense AutoAlign through the app. This affordable accessory replaces the expensive software usually used for advanced mount modeling. With built-in mount modeling, you'll get superior pointing accuracy from horizon to horizon. When your alignment needs to be perfect, add up to 10 additional calibration stars to achieve a new level of accuracy, great for locating objects in the camera’s field of view for astroimaging. 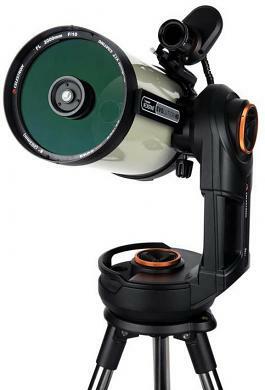 If you’re interested in astroimaging, the 8-inch NexStar Evolution HD is an excellent way to jump in.. It’s the only fork-mounted telescope in its price range that offers brass worm gears, along with improved motors. Tracking is great, and so too is the flat-field, coma-free EdgeHD optical system.You can capture images of deep-sky objects like the Orion Nebula by simply attaching your DSLR camera. 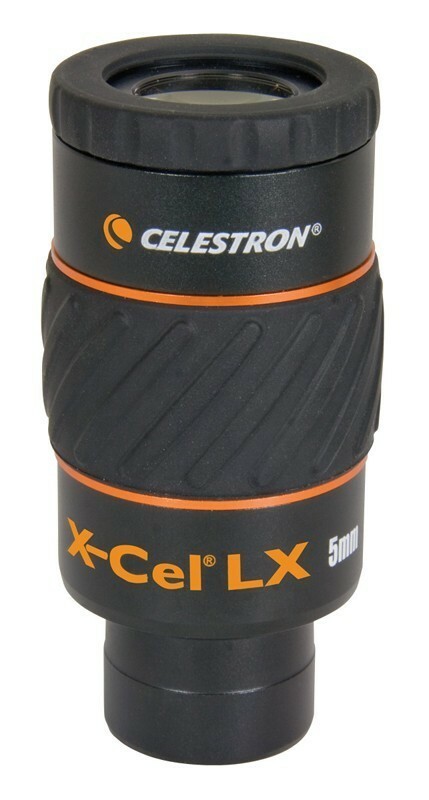 As you progress in the hobby of astroimaging, you can add our Wedge for NexStar Evolution (hyperlink this to the 93665 product page) to achieve longer exposures for more detailed astrophotos. Of course, the EdgeHD optical system offers bright, sharp views with StarBright XLT optical coatings—a great choice for visual observers and budding astroimagers alike. NexStar Evolution is equipped with 4 auxiliary ports--2 on top of the fork and 2 on the bottom. A StarSense hand control is still included, but is not necessary when using NexStar Evolution with the app. 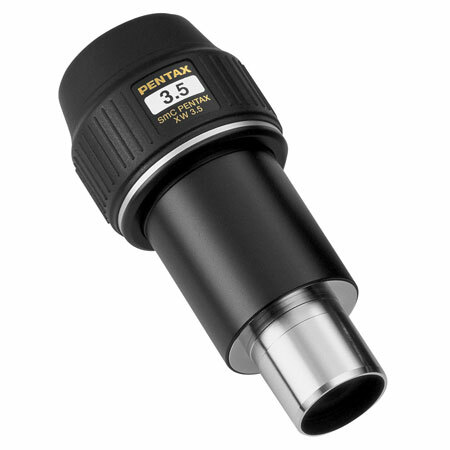 The telescope also includes a StarPointer Pro finderscope, two 1.25” Plossl eyepieces, a 1.25” star diagonal, and an international AC adapter. Access the sky and control your telescope from an interactive planetarium on your smart device – provides the best star gazing experience for you and your friends and family – know when Jupiter’s Great Red Spot will be visible, including shadow transits, planetary occultations, conjunctions, or pick the best deep sky objects to view such as galaxies and nebulae. Learn about these objects with informative backstories and beautiful image galleries, then see them for yourself through the telescope! Controls everything, including StarSense. Tap Connect and Align and let StarSense automatically align the telescope for you. 8” EdgeHD Optics: Provides superb visual and astro-imaging performance, free of coma and field curvature. Built-in WiFi: No Hand controller required! Just use your smartphone or tablet which connects to the telescope via WiFi. StarSense Auto Align: Automatically aligns your telescope and works with the SkyPortal app for complete wireless control. Fastar/HyperStar compatible: Image deep sky objects in seconds at f/2, often eliminating the need to autoguide or track on a wedge. 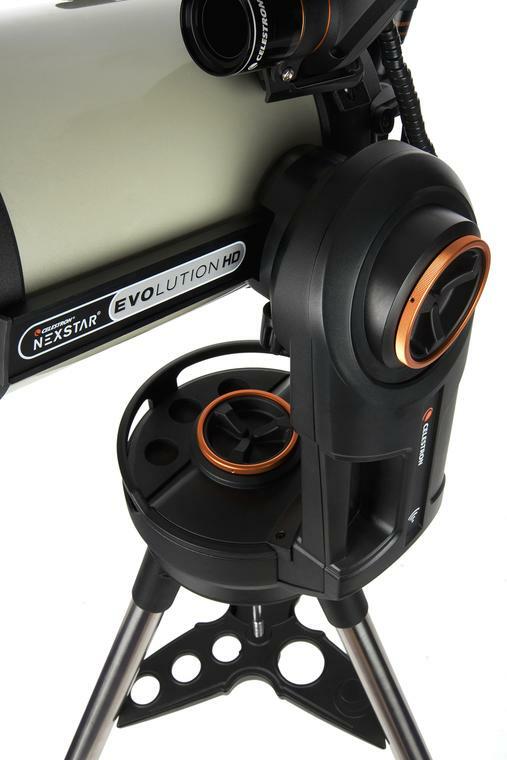 NexStar Evolution Mount: Packed with convenient features, including manual release clutches and precision machined worm gears for both axes, tray lighting, USB charge port, tray lighting for your accessories, and more. Fully motorized computer go-to: After automatically aligning with StarSense, select and go to objects with a tap on your smartphone. Above image shows Evolution 8 HD Edge telescope with optional equatorial wedge. Click here for further info! This addition would allow longer exposure times for deep sky imaging.